Studio MOVE! Dance.And.More - About Studio MOVE! Studio Move! is excited to launch our seventh season of classes in Groesbeck, TX. Studio MOVE! will offer classes for children and teens in the areas of Creative MOVEment, Ballet, Jazz, Hip Hop, Tumbling, Cheer, Twirling and More.... Studio MOVE! promises professional quality instruction complete with tons of FUN for all involved. Students will be taught true fundamentals and age appropriate technique while experiencing the FULL JOY of dancing and movement! We can't wait for you to MOVE! with us! With Studio MOVE!, classes will be limited in size in order that each child gets the full instruction and attention they deserve. Studio MOVE! will promote a positive environment where all students will be encouraged and esteemed. Music will always be appropriate. Dancing will always be fun and rewarding! Mica J Trojacek has been a professional dancer, dance educator and choreographer for 20 years. She began dancing at the age of 3, and is blessed that she has been able to make her passion her career. Mica earned a Master of Fine Arts degree in dance from Texas Christian University (TCU) in Fort Worth in 2004. At TCU, she continued teaching and choreographing in The School for Classical and Contemporary Dance until she and her family moved to Groesbeck in 2009. Her dance career spans the globe. Mica has travelled throughout the United States, Mexico, The Dominican Republic, and France performing and teaching all styles of dance. She has been an educator and presenter for numerous organizations including the World Dance Alliance, and The Texas Association for Health, Physical Education, Recreation and Dance. As an educator, Mica specializes not only in many styles of dance, but more particularly dance for children and creative movement. She has written and published material about creative movement and used that information to instruct other educators in how to teach creative dance to young children. As an educator, Mica has worked with all ages and types of dancers - from children to adults, beginners to professionals. Mica has also taught classes for special needs students. 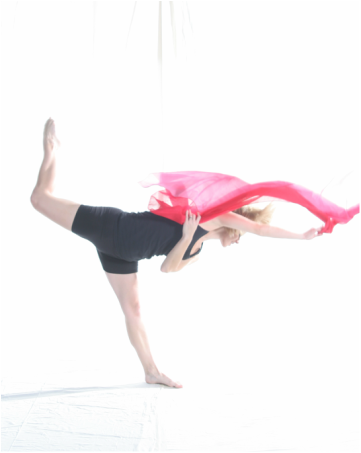 As a performer, Mica has danced with professional ballet and modern dance companies as well as a solo artist. She loves to move and enjoys all styles of dance. Mica has also coached competitive cheer and choreographed cheer dance, and has been active teaching a number of fitness formats for adults. She has received numerous awards and achievements for her work as a dancer, teacher and choreographer. Mica has two daughters she hopes to raise loving dance as much as she does. Mica, her husband Jason, and two girls live in Groesbeck.